Course Overview: Missing data is a common complication in applied research. Although most practitioners are still ignoring the missing data problem, numerous books and research articles demonstrate that dealing with it correctly is very important. Biased results and inefficient estimates are just some of the risks of incorrectly dealing with incomplete data. In this course, we will introduce incomplete data vocabulary and present problems and solutions to the missing data issue. We will emphasize practical implementation of the proposed strategies including discussion of software to implement procedures for incomplete data. 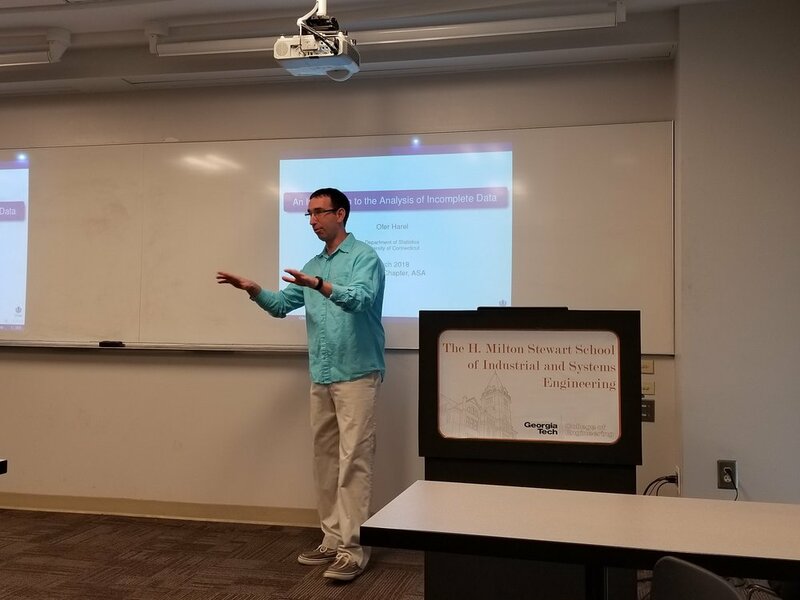 About the instructor: Ofer Harel, Ph.D. is a professor in the Department of Statistics, the Center for Public Health and Health Policy (CPHHP) and a FORMER Principal investigator (PI) at the Institute for Collaboration on Health, Intervention, and Policy (InCHIP) at the University of Connecticut. Through his career Dr. Harel developed his methodological expertise in the areas of missing data techniques, diagnostic tests, longitudinal studies, Bayesian methods, sampling techniques, mixture models, latent class analysis and statistical consulting. Dr. Harel was part of numerous federal grants as principle investigator (PI), Co-PI and Biostatistician. He is an associate editor for Statistics in Medicine, Sankhya, the Indian Journal of Statistics, Series B and on the editorial board of AIDS and Behavior and The Open Medical Informatics Journal. Through his work, Dr. Harel has been involved with a variety of research fields including, but not limited to single-cell genomics, HIV prevention, Alzheimer’s, cancer, diabetes, and alcohol and drug abuse prevention. Summary: In this first ever ASA GA Chapter Webinar, Dr. Kundu is going to cover the basics of graphical modeling approaches and their application to brain networks. Graphical models provide useful tools to compute a network of dependencies among a set of pre-defined nodes and there has been a rich literature in graphical modeling with important applications in genetics, finance and more recently brain imaging. Dr. Kundu will focus on two key approaches: Gaussian graphical models for continuous data, and Ising models for binary data. He will highlight the advantages and pitfalls of these approaches and discuss some recent approaches for high dimensional graphical modeling. In the second half of the talk, Dr. Kundu will elucidate the applications of graphs for computing brain networks using fMRI data, an important and rapidly developing research area. The presentation will end with possible challenges for computing brain networks and some open research questions. 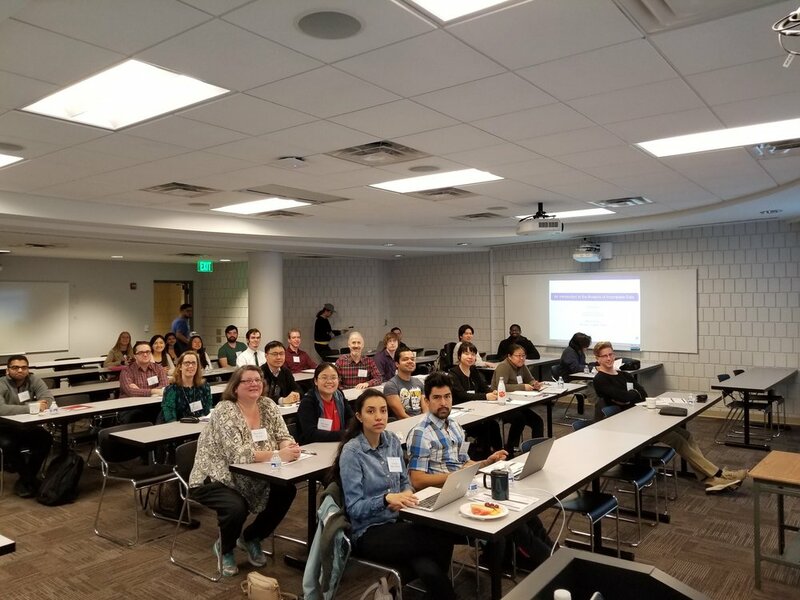 The sixth annual “KSU R Day” was held by Kennesaw State University’s Department of Statistics and Analytical Sciences to celebrate undergraduate and graduate statistics students’ work in R and serve as a regional meeting for the R community. Georgia Statistics Day was a one-day conference dedicated to interdisciplinary research on theoretical and applied data science hosted at the Rollins School of Public Health at Emory University. The Georgia ASA Chapter sponsored an award for the winner of the student poster presentation.